Cookarama team effort (from left): Christchurch New Horizons Rotarians Cathy Gillespie, Margie Lyons, Kate Russell, Nicky Skinner and Deborah Allan with some of the goodies on sale at Cookarama. From cookbooks and cake pops to chutneys and crockery, Cookarama had something to tempt even the fussiest appetite. The first major fundraiser for the Rotary Club of Christchurch New Horizons, NZ Cookarama was held on Saturday April 11 at the Blind Foundation in Merivale, Christchurch. What started as an idea to sell pre-loved cookbooks by New Horizons Fundraising Leader, Margie Lyons, grew to encompass everything from home baking and preserves, to fresh produce, garden plants, kitchen appliances and gift baskets. at Cookarama Robyn Johansen and Collean Lee. 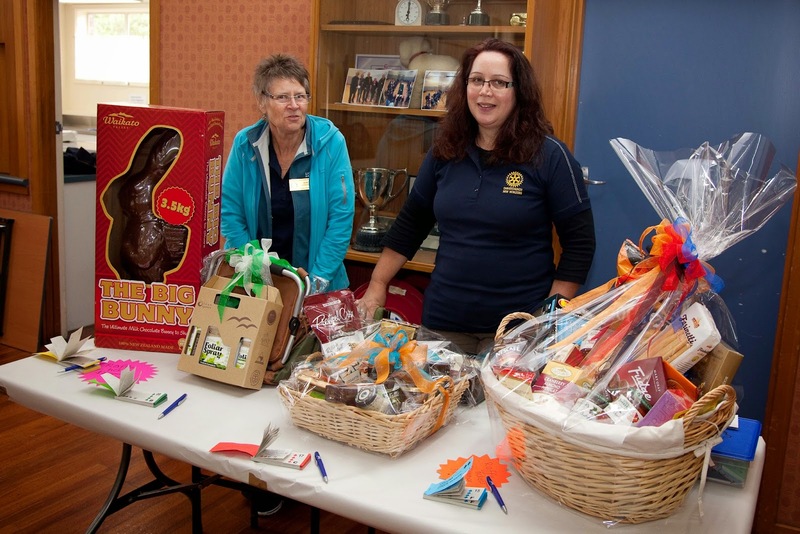 Club President Shirley Keith said it was a fantastic event that brought club members together and it was also a great team builder for the young club who raised $1800 in just under five hours. With just 23 members, Cookarama had all Christchurch New Horizons Rotarians out in force in the weeks leading up to the event visiting local clubs to promote the event, delivering leaflets to 10,000 households in the Christchurch area, making dozens of cheese rolls and sticky date puddings and categorising more than 500 cookbooks. Marketing & PR Leader, Deborah Allan, said the event was a good learning curve with many hours of behind-the-scenes preparation put in by the five-strong fundraising team and there was a full debrief with all club members in the following weeks to fine tune the event for 2016. Proceeds from the day were presented to the Royal NZ Foundation of the Blind within a fortnight, to assist them in providing practical and emotional support for their Christchurch clients who are either blind or have low vision. 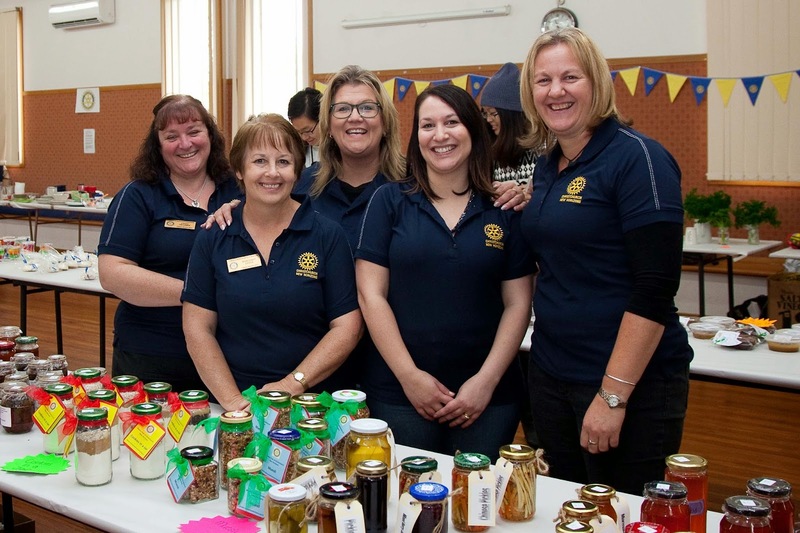 The Rotary Club of Christchurch New Horizons has previously supported the Blind Foundation, with Rotarians helping referees and timekeepers at the Christchurch Goalball competition in 2012 and providing supper and refreshments at the Christchurch Barn Dance in 2013. Find out more about Christchurch New Horizons Rotary on www.rotarynewhorizons.org.nz or follow them on social media at www.facebook.com/RotaryNewHorizons.